1.1 This policy applies where we are acting as a data controller with respect to the personal data of our website visitors; in other words, where we determine the purposes and means of the processing of that personal data. 2.3 We may process your information included in your personal profile on our website (“profile data”). The profile data may include your name, address, telephone number, email address, gender. The profile data may be processed for the purposes of enabling and monitoring your use of our website and services. The legal basis for this processing is our legitimate interests, namely the proper administration of our website and business. 2.5 We may process information relating to our customer relationships, including customer contact information (“customer relationship data”). The customer relationship data may include your name your contact details, and information contained in communications between us and you. The source of the customer relationship data is you. The customer relationship data may be processed for the purposes of managing our relationships with customers, communicating with customers, keeping records of those communications and promoting our products and services to customers. The legal basis for this processing is consent, namely for the proper management of our customer relationships. 2.6 We may process information that you provide to us for the purpose of subscribing to our email notifications and/or newsletters (“notification data”). The notification data may be processed for the purposes of sending you the relevant notifications and/or newsletters. The legal basis for this processing is consent. 6.2 You have the right to confirmation as to whether or not we process your personal data and, where we do, access to the personal data, together with certain additional information. That additional information includes details of the purposes of the processing, the categories of personal data concerned and the recipients of the personal data. Providing the rights and freedoms of others are not affected, we will supply to you a copy of your personal data. 6.3 You have the right to have any inaccurate personal data about you rectified and, taking into account the purposes of the processing, to have any incomplete personal data about you completed. 6.4 In some circumstances you have the right to the erasure of your personal data without undue delay. Those circumstances include: the personal data are no longer necessary in relation to the purposes for which they were collected or otherwise processed or you withdraw consent to consent-based processing. 6.5 In some circumstances you have the right to restrict the processing of your personal data. Those circumstances are: you contest the accuracy of the personal data; processing is unlawful but you oppose erasure; we no longer need the personal data for the purposes of our processing, but you require personal data for the establishment, exercise or defence of legal claims; and you have objected to processing, pending the verification of that objection. Where processing has been restricted on this basis, we may continue to store your personal data. However, we will only otherwise process it: with your consent; for the establishment, exercise or defence of legal claims; for the protection of the rights of another natural or legal person; or for reasons of important public interest. 6.6 You have the right to object to our processing of your personal data on grounds relating to your particular situation, but only to the extent that the legal basis for the processing is that the processing is necessary for: the performance of a task carried out in the public interest or in the exercise of any official authority vested in us; or the purposes of the legitimate interests pursued by us or by a third party. If you make such an objection, we will cease to process the personal information unless we can demonstrate compelling legitimate grounds for the processing which override your interests, rights and freedoms, or the processing is for the establishment, exercise or defence of legal claims. 6.8 If you consider that our processing of your personal information infringes data protection laws, you have a legal right to lodge a complaint with a supervisory authority responsible for data protection. You may do so in the EU member state of your habitual residence, your place of work or the place of the alleged infringement. 6.9 To the extent that the legal basis for our processing of your personal information is consent, you have the right to withdraw that consent at any time. Withdrawal will not affect the lawfulness of processing before the withdrawal. 6.10 You may exercise any of your rights in relation to your personal data by written notice to us, in addition to the other methods specified in this Section 8. 10.2 Blocking all cookies may have a negative impact upon the usability of many websites. 10.3 If you block cookies, you may not be able to use certain features on our website. 11.1 This website is owned and operated by Compagnie de Beau Vallon Ltée. 11.2 We are registered in Mauritius under BUSINESS REGISTRATION NUMBER: C06000236, and our registered office is at Riche-en-Eau, St Hubert, Mauritius. 11.3 Our principal place of business is at Riche-en-Eau, St Hubert, Mauritius. 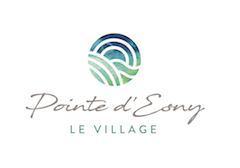 A project of Compagnie de Beau Vallon Ltée. This is an approved project by the Board of Investment under the Investment Promotion (Property Development Scheme) Regulations 2015. Non-contractual photos. The illustrations contained on this website are purely artists’ impressions and cannot be considered as contractually binding. The promoters reserve the right to make changes, alter and/or modify at any time and without advance notice the contents of this website.